Below you will find a screen version of the colour that you need to gesso your canvas and canvas boards for the Figure Painting in Oil class. Both canvas and boards should be gessoed the same colour. To tone, mix acrylic color into acrylic gesso base to match color swatches, using tube or liquid acrylic paint. It is not necessary to get an exact match but please try to come reasonably close to the swatch. I find the more liquid acrylic bottle colours made by Golden or Lascaux easier to mix into white acrylic gesso thatn the tube paint and they come in small quantity bottles. Please be aware that having to reduce the quality ot the jpegs for the internet may make the colours appear slightly different to the physical swatches. The colours may also vary slightly according your computer screen settings. It is better to use as a guide the physical swatch mailed to you by the school with the supply list, however you do not have to match it exactly. However, you can use whatever colours you have to hand that you think might work to make the above colour. Experiment! Paint one good coat of the colored gesso on top of at least one or two coats of white acrylic primer ON TOP OF pre primed (acrylic primed not oil primed) canvas. The color should be even with no white patches. Canvas manufacturers like Fredrix recommend at least 6 coats of acrylic primer between the canvas support and oil paint! You do not have to put extra white coats on the canvas boards before applying the coloured gesso. Below you will find a screen version of the colours that you need to gesso your canvases in the Venetian Painting techniques class. The brown is for the larger canvas, the green is for the smaller. 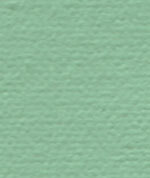 To tone, mix acrylic color into acrylic gesso base to match color swatches, using tube or liquid acrylic paint. It is not necessary to get an exact match but please try to come reasonably close. I find the more liquid acrylic bottle colours made by Golden or Lascaux easier to mix and they come in small bottles. Please be aware that having to reduce the quality ot the jpegs for the internet may make the colours appear slightly different to the physical swatches, particularly the green. The colours may also vary slightly according your computer screen settings. It is better to use as a guide the physical swatches mailed to you by the school with the supply list, however you do not have to match them exactly. However, you can use whatever colours you have to hand that you think might work. Experiment! Paint two coats of the colored gesso on top of at least one or two coats of white acrylic primer ON TOP OF pre primed (acrylic primed not oil primed) canvas. Canvas manufacturers like Fredrix recommend at least 6 coats of acrylic primer between canvas and oil paint!